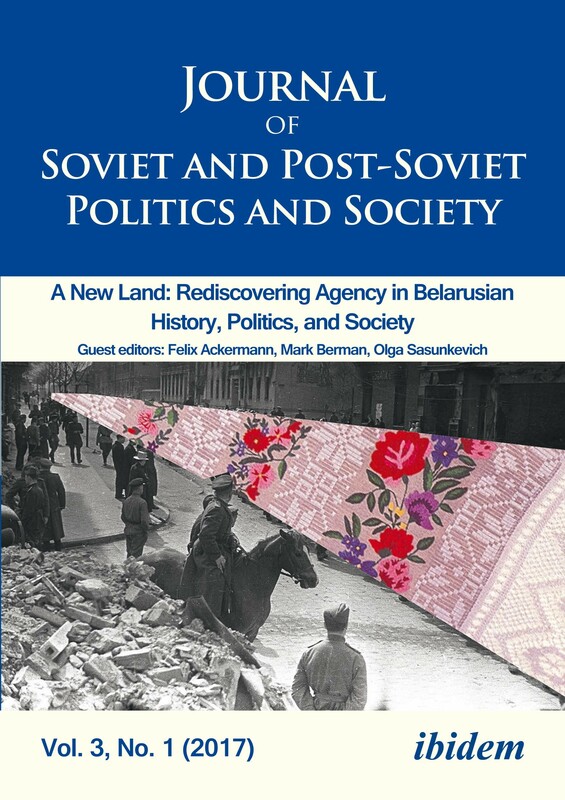 This special issue provides a forum for discussion of what Belarusian Studies are today and which new approaches and questions are needed to revitalize the field in the regional and international academic arena. The major aim of the issue is to go beyond the narratives of dictatorship and authoritarianism as well as that of a never-ending story of failed Belarusian nationalism—interpretive schemes that are frequently used for understanding Belarus in scholarly literature in Western Europe and Northern America. Bringing together ongoing research based on original empirical material from Belarusian history, politics, and society, this issue combines a discussion of the concept of autonomy/agency with its applicability to trace how individual and collective actors who define themselves as Belarusian—or otherwise— have manifested their agendas in various practices in spite of and in reaction to state pressure. This issue offers new approaches for interpreting Belarusian society as a dynamically changing set of agencies. In doing so, it attempts to overcome a tradition of locating present Belarusian political and social dilemmas in its socialist past. Felix Ackermann, PhD, is a research fellow at the German Historical Institute in Warsaw. He teaches historical anthropology and applied humanities as a visiting associate professor at European Humanities University (Vilnius). His recent publications focus on the link between state violence, migration, and urban space in the post-Soviet borderlands of Belarus, Lithuania, and Poland. Together with Michael Galbas he was guest editor of a special issue “Back from Afghanistan” within the Journal of Soviet and Post-Soviet Politics and Society (vol. 1, no. 2 ). Mark Berman, M.A., is a graduate student at the University of Giessen. He completed his M.A. in Russian, Eurasian and East European Studies at Georgetown University in the School of Foreign Service. He has completed several DAAD-funded research stays in Minsk, Belarus. Olga Sasunkevich, PhD, is a lecturer in the Department of Media and executive co-director of the Center for Gender Studies at the European Humanities University, Vilnius, Lithuania. She obtained her doctoral degree in East European History from Greifswald University, Germany, in 2014. She is the author of Informal Trade, Gender, and the Border Experience: From Political Borders to Social Boundaries (Ashgate 2015). Her current research project “De-essentializing Ethnicity: 'Karta Polaka' and the Process of Ethnicization in the Belarus-Poland border region” is supported by the Open Society Foundation. Her research interests include Belarusian Studies, gender studies, and post-socialist Eastern Europe.